"I believe in the Kingdom Come." The Midnight Life (this album) (2014). Sorry, no matches on eBay for "Why'd You Have to Lie? (Feat. 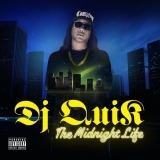 Joi) DJ Quik".